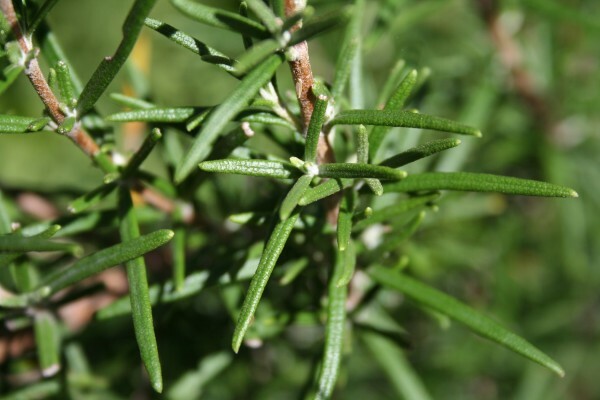 I was trying to think of a suitable herb to write about for my last post of the year, when Permaculture Magazine came to the rescue, reminding me that not only is Rosemary one of the hardiest of our garden herbs, but it’s also one that you can keep picking and using throughout winter! To my mind, it has several medicinal uses that might come in particularly handy over the Christmas period, when our bodies and minds can be challenged by excess in various forms! NB Avoid use of the essential oil or large doses of the herb in pregnancy. 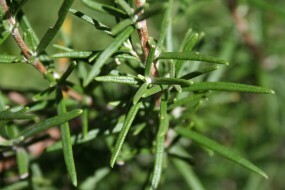 If you are on iron supplements, take rosemary apart from your iron supplements as it can inhibit absorption. Rosemary is well known as a culinary herb and the carminative & antimocrobial properties of its volatile oil (which gives Rosemary its unmistakable and uplifting aroma) make it an excellent digestive tonic. Just cook with it, or make a tea by adding a couple of fresh sprigs of rosemary tops to a large mug and pouring over boiling water. Allow it to steep for 5 to 10 minutes before straining and drinking. The Christmas season can mean large and unusually fatty meals, which can be difficult to digest, especially when we’re not used to it! Recent research suggests that Rosemary can temporarily improve the body’s ability to digest fats, by enhancing the activity of certain liver enzymes. How about adding a strong infusion of fresh rosemary tops to your bath? Rosemary is known as a mild circulatory tonic, and added to the bath, or diluted in a carrier oil directly to the skin, it can help optimise circulation in tired, aching muscles. If your hair tends to look lackluster after two many late nights and too much of – well.. everything! Why not try making this Rosemary & Nettle hair rinse in readiness for ‘turning a new leaf’ in the New Year? All you need is cider vinegar, rosemary and nettle (if you don’t have fresh nettle to hand, then just make it with rosemary). Wishing you a Peaceful, Happy & Healthy Christmas! !